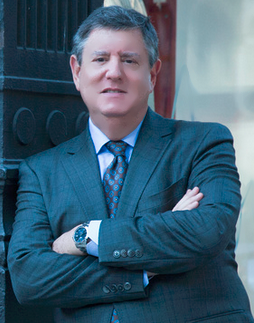 Robert Greenstone has the unique distinction of having owned and operated retail stores and retail properties – closing hundreds of retail leases in the past 30 years. Robert was born into a family of retailers, eventually owning and operating several very successful clothing stores which continue to bear his name. Fast forward to today, as either the consummate leasing agent or tenant representative, Robert has closed many of New York City’s most memorable and important deals. His list of clients and customers reads like a who’s-who – either representing some of the world’s most recognizable retailers, restaurateurs and entertainment companies or on behalf of some of America’s most prominent landlords and developers. Regardless of what side of the table he sits, he and his firm approach every assignment methodically and with the urgency business demands. He continually works to build and maintain industry-wide relationships – and is widely respected for his integrity, hard work and creativity. Robert has the intuition, critical thinking and skills which other retail leasing brokers can only approximate because of his years as a successful retailer, landlord and broker. Robert continues to devote his time and energies to analyzing every aspect of the retail commercial real estate industry diving into the real-world factors that impact the success of restaurants, merchants and large-scale entertainment venues. He has an unmatched command of consumer segmentation modeling and local-market shopping patterns, all while considering branding, pricing, co-tenancy and his tenant’s operational and logistical requirements. By overseeing the organization that bears his name, his work runs the gamut from unearthing off-market properties to helping retailers lease and dispose of retail assets in both urban and suburban markets. Robert has closed deals in virtually every economic cycle and through every leasing contingency. His daily routine includes conceptualizing new ground-up developments and repositioning existing shopping centers with a strong emphasis on F&B and entertainment. He has arguably closed more multiplex cinema deals than any other broker in America and works with developers to envision new projects. ​NOW GET TO KNOW robert greenstone.